Clients already have a lot to remember this winter; make ectoparasite control one less thing to forget. Preemerged adult fleas survive in protected microenvironments waiting for hosts. Unprotected pets are still at risk during winter months, especially during unexpected warm spells. Ticks do not typically die in cold weather; instead, they simply enter a dormant stage. Inconsistent ectoparasite burdens among pets in the same household can confuse clients, who may not understand that patient age, breed, or patient sex7,8 can contribute to variable parasite burdens in an infested home. Unless all pets are appropriately treated, infestation can persist. Environmental and ecological changes are impacting parasite life cycles. Endemic ranges for several medically important ticks are expanding, including Ixodes scapularis3 and Amblyomma americanum.4 Global variation in temperature and humidity may affect where ticks live, their population size, and how often they bite humans.3,7-9 Habitat modification and host species recolonization also play important roles.3,4 Changing temperatures could also expand fleas’ geographic ranges.11 Clients and clinicians should stay current on evolving ectoparasite risks and can reference resources from the Centers for Disease Control (CDC) and Companion Animal Parasite Council (CAPC). Evaluate product safety in light of a patient’s signalment and medical history. Determine the ideal option for the client and pet lifestyles. Discuss instructions for safe and effective use. Provide reminders to improve adherence. Although 73% of general practice clients think they should administer flea and tick prevention year-round, only 13% actually purchase enough product to do so.1 Lengthening re-dosing intervals can improve adherence in human and veterinary medicine for a variety of therapeutics. Clients prefer administering flea and tick preventive every 12 weeks (vs monthly dosing) by a margin of 9 to 1. Clients also feel this product would make them less likely to miss doses,13 resulting in longer coverage and fewer coverage lapses. Emerging research, changing geographic factors, and new treatment options provide opportunities to reopen client discussions around parasite prevention. Improving year-round adherence to flea and tick prevention can make patients healthier, clients happier, and practices more profitable. What is good for patients is good for the practice. Which tick causes infestations year-round inside heated buildings? Rhipicephalus sanguineus (brown dog tick) can complete its entire life cycle exclusively on the dog in and around homes and kennels. These protected environments buffer its lifecycle from environmental impacts. Dryden MW, Payne PA. Biology and control of ticks infesting dogs and cats in North America. Vet Ther. Summer 2004;5(2):139-154. Gray J, Dantas-Torres F, Estrada-Pena A, Levin M. Systematics and ecology of the brown dog tick, Rhipicephalus sanguineus. Ticks Tick Borne Dis. 2013;4:171-180. Which is not true regarding the winter survival of Ctenocephalides-felis fleas? Development is delayed during colder temperatures. Pupae can survive months slightly above freezing at 33.8°F (1°C). Pre-emerged adult fleas remain in their cocoon. No life stage of the flea can survive more than 5 days at 33.8F (1°C); however, they can survive the winter by slowing their development at various stages in protected microclimates, including by remaining as pre-emerged adults in cocoons that further help them resist environmental conditions. Untreated dogs, cats, and small mammals including opossums and raccoons also serve as reservoirs. What percentage of clients prefer 12-week dosing over monthly dosing? Pet owners prefer dosing flea and tick prevention every 12 weeks by 9 to 1. Lavan RP, Armstrong R, Normile D, Zhang D, Tunceli K. Results from a U.S. dog owner survey on the treatment satisfaction and preference for fluralaner against flea and tick infestations. J Vet Sci Technol. 2017;8:439. Approximately 65% of pet owners feel they are more likely to remember to give a 12-week product on time compared with a monthly product. 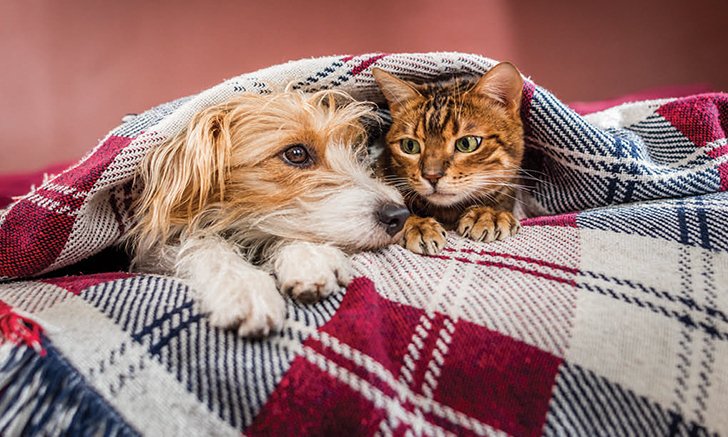 In the same study, 72% of respondents found the product convenient; 54% felt pets are less likely to get fleas with this product; and 92% felt this treatment would allow them to protect their pet for the same or more months out of the year than monthly coverage. Lavan RP, Armstrong R, Normile D, Zhang D, Tunceli K. Results from a U.S. Dog Owner Survey on the Treatment Satisfaction and Preference for Fluralaner against Flea and Tick Infestations. Journal of Veterinary Science & Technology. 8:3 2017. The brown dog tick Rhipicephalus sanguineus reproduces indoors even during the winter. Which of the following does it NOT transmit? The brown dog tick is an important vector for several important infectious diseases; however, Borrelia burgdorferi is primarily spread by ticks of the Ixodes genus. Dependent on other seasonal adaptability, Ixodes scapularis may survive temperatures well below freezing. The tick has been shown to quest for hosts at temperatures slightly at or below freezing, although activity increases with increased temperature. Duffy DC, Campbell SR. Ambient air temperature as a predictor of activity of adult Ixodes scapularis (Acari: Ixodidae). J Med Entomol. 1994;31(1):178-180. Pet owners from what US region are least likely to believe their pet needs year-round tick and flea prevention? In every US region, at least 20% of pet owners believe year-round prevention is unnecessary; the rate in the US Northeast is even higher at approximately 46%. It is important to emphasize that pets face year-round risks; a good example to discuss includes the brown dog tick, which can survive indoors during winter months and has a geographic range that covers the entire continental US. Lavan RP, Armstrong R, Normile D, Zhang D, Tunceli K. Results from a U.S. Dog Owner Survey on the Treatment Satisfaction and Preference for Fluralaner against Flea and Tick Infestations. Journal of VeterJinary Science & Technology. 8:3 2017. Which of the following has been proposed as a mechanism for expanding ectoparasite ranges? There are many factors that can impact the geographic range and population size of ectoparasite populations, including temperature, precipitation and humidity, forestation and habitat destruction, human population density (urban/rural), and the prevalence of adequate host species. Gage KL, Burkot TR, Eisen RJ, Hayes EB. Climate and vectorborne diseases. Am J Prev Med. 2008;35(5):436-450. Parmenter RR, Yadav EP, Parmenter CA, Ettestad P, Gage KL. Incidence of plague associated with increased winter-spring precipitation in New Mexico. Am J Trop Med Hyg. 1999;61(5):814-821. Ogden NH, Bigras-Pulin M, O’Callaghan CJ, et al. A dynamic population model to investigate effects of climate on geographic range and seasonality of the tick Ixodes scapularis. Int J Parasitol. 2005;35(4):375-389. Dantas-Torres F. The brown dog tick, Rhipicephalus sanguineus (Latreille, 1806) (Acari:Ixodidae): from taxonomy to control. Vet Parasitol. 2008;152:173-185. Lavan RP, Tunceli K, Zhang D, Normile D, Armstrong R. Assessment of dog owner adherence to veterinarians’ flea and tick prevention recommendations in the United State using a cross-sectional survey. Parasit Vectors. 2017; doi: 10.1186/s13071-017-2217-2. Schulze TL, Jordan RA, Hung RW. Effects of selected meteorological factors on diurnal question of Ixodes scapularis and Amblyomma americanum (Acari: Ixodidae). J Med Entomol. 2001;38(2):318-324. Dantas-Torres F. Biology and ecology of the brown dog tick, Rhipicephalus sanguineus. Parasit Vectors. 2010;3:26.